METHODS: A systematic literature search was conducted in MEDLINE, EMBASE, CINAHL and PsycINFO with synonyms of search terms for 1) low back pain; 2) natural course; 3) cohort study and 4) children. Records in English, German, French, Danish, Swedish, and Norwegian were included. To assess the methodological quality of the studies, the NIH quality assessment checklist for cohort studies was adapted and risk of bias was assessed on a study level. Two authors independently reviewed selected studies, assessed quality, and extracted data. A synthesis of results in relation to the natural course of LBP was created. 3) ´children and adolescents with repeated reporting of LBP´ (< 1 to 10%). CONCLUSION: Although methodological heterogeneity, mainly due to different age ranges, an indication of a natural course of LBP was seen across studies. The majority of children and adolescents repeatedly reporting no or low probability of LBP. With recall periods between one week to three months and sampling rates ranging from one to four years, a very low rate repeatedly reported LBP, and approximately one-fifth to one-third of children and adolescents had fluctuating reports of LBP. A need of future research of LBP trajectories with short reporting period lengths and narrower sampling windows in a long-term perspective is emphasized in order to study childhood influences on the development of LBP throughout life. Nevertheless, while prevalence studies in cross-sectional studies present the proportion of the population reporting LBP at a certain time point, within a certain period or ever, it is not possible to determine from these studies whether it is the same or different children or adolescents, who report LBP at different ages and time points, seen in a long-term perspective. As prevalence studies of LBP only describes the population-averaged status of LBP, and hence does not reflect the development or course of LBP, they provide limited information about the condition with respect to portrayal of health care consequences and prevention strategies. In adults, longitudinal cohort studies have provided an understanding of the development or course of individual pain conditions over time with respect to later health or disease risk, indicating that some people experience pain throughout their lives. In adults, there is consensus of the natural course of LBP, demonstrated as either being a persistent or episodic condition with recurrent events rather than one well-defined episode or episodes of unrelated occurrence. [3–5] This fluctuating and recurrent nature might also be evident in children and youth and track into adulthood; therefore, the aetiology and development of LBP in children and adolescents should be considered in a long-term course with frequent data collection points. To our knowledge, no systematic summary of the natural course of LBP exists in children and adolescents. The ability to identify and describe the natural course or time-based progressions of distinctive clusters of variation in LBP, called developmental trajectories, could be an important aid to improve the understanding of development and changes of LBP status over time. The identified trajectories might be able to provide unique information on LBP and its impact during the transition from childhood to adolescence to young adulthood, and to provide a means of exploring certain risk factors and detecting groups of frail children who are particularly susceptible for developing LBP. The aim was to study the natural course of LBP in the general population from childhood through adolescence to young adulthood using a systematic critical literature review. The systematic literature search was conducted in MEDLINE via PubMed, EMBASE, CINAHL complete and PsycINFO in the period of September 2018 to November 2018, with the following search terms: ´back pain´, ´spinal pain´ or ´neck pain´; ´natural course´, ´natural history´, ´trajectories´, ´transitional´, ´tracking´, ´prognostic´, ´prediction´, ´patterns´ or ´follow-up´; cohort study´, ´epidemiological study´ or ´longitudinal study´; ´children´, ´infants´, ´youth´, ´teenagers´ or ´adolescence´, ´adolescents´, ´young adulthood´ or ´young adults´. References in the following languages; English, German, French, Danish, Swedish and Norwegian were included. The search protocol was refined in collaboration with a university librarian. Search terms, in- and exclusion criteria were adapted to the databases, and the references from the search result were exported to Covidence; an online software product for managing systematic reviews. Duplets were reviewed, reported and excluded in this program and validated by reviewing the reference list in Endnote as well. A full electronic search strategy for the search in PubMed is applied in Additional File 1. The searches were re-run just before the final analyses and further studies retrieved for inclusion. The protocol of the current systematic review was registered in PROSPERO, registration number CRD42018111000. adolescence or adolescence to adulthood (maximum 22 years). 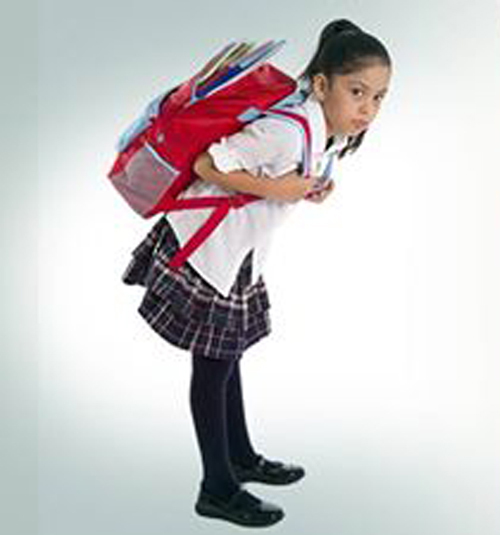 The main outcome was low back pain in children and adolescents, measured over time. Exclusion criteria were studies only reporting prevalence or incidence of LBP; intervention studies; clinical or working populations; specific sub groups of back disorders such as scoliosis; and adolescents above the age of 18 at baseline. Based on the predefined inclusion and exclusion criteria, two of the authors independently assessed the eligibility of potential studies. Disagreements were resolved either through discussion of the studies or by involvement of a third author. For the articles that PK and NW were authors on, TJ and EB were the team that independently assessed the eligibility, performed quality assessment and data extraction. The numbers of studies searched and included, and the reasons for study exclusion are presented as a flow diagram (Figure 1). The excluded studies are listed in Additional File 2. Two of the authors independently reviewed the included studies. To assess the methodological quality of the studies, an adapted version of the National Institute of Health (NIH) quality assessment tool for observational cohort and cross-sectional studies was applied and customized to the review question of interest. Questions related to exposure were only judged in relation to how the reporting of previous LBP was used as a determinant for reporting of LBP during the current time-frame. The final determination of the quality of the selected studies was based on whether the included studies had minimized potential bias in their study design, and was rated as good, fair or poor, based on the NIH quality assessment and potential risk of bias due to selection and misclassification bias, outcome data bias, selective outcome reporting and other potential sources of bias. Good and fair studies were included in the synthesis of results in relation to describing the natural course of LBP, which is presented in narrative text, tables, and figures. Due to heterogeneity of outcome measurements, it was not possible to perform meta-analysis. In total, 3373 records were located. Following removal of duplicates, 3,231 abstracts were screened, and 52 full-text studies were assessed for eligibility. For various reasons, listed in the PRISMA flow diagram in Fig. 1, 44 studies were excluded. A total of eight articles were included in the current review for quality assessment (Aartun et al., Burton et al., Coenen et al., Grimmer et al., Kjaer et al., Mikkelsson et al., Sjolie et al., Szpalski et al.). [9–16] Characteristics of the studies are presented in Table 1. An overview of assessment of quality is presented in Table 2. In the study by Aartun et al., several risks of bias were suspected due to differential drop-outs, missing sensitivity analyses and problems with baseline data collection. High reporting of life time prevalence due to questionnaire technique affected the results of prevalence, change, and course of LBP. No statistics were applied for analysis of course or changes of LBP; these could be the same children or new cases. The analyses performed did not support the conclusion. Overall, the quality of the study was rated as poor Table 3. Several risks of bias were considered in the study by Burton et al. due to no inclusion or exclusion criteria, applying a not validated questionnaire with the risk of reporting bias for lifetime prevalence of LBP. Different types of data collection methods were seen over time, with interviews at the first two time points followed by self-reported questionnaires. Also, a large dropout rate was reported. Overall, the quality of the study was rated as poor (Table 3). In the study by Coenen et al., few risks of bias were detected, mainly due to no inclusion or exclusion criteria and dropouts in the profiling analyses. Overall, the quality of the study was rated as good (Table 3). Some risk of bias was seen in the study by Grimmer et al. with a large dropout rate, particularly in the end of the study, and also, a small study sample, which did not qualify for the many statistical analyses. Overall, the quality of the study was rated as fair (Table 3). In the study by Kjaer et al., some risk of bias was found since no validated questionnaire was applied. Outcome measure was collapsed to one dichotomous answer of the presence of back pain from reports of point, one-week and one-month questions of back pain. Also, no inclusion or exclusion criteria was listed, and a large dropout was seen. Overall, the quality of the study was rated as fair (Table 3). Some risk of bias was also considered in the study by Mikkelsson et al. since the study sample was small for children with persistent LBP (n = 64 first time point, n = 22 s time point). The cohort was assessed twice with selected reporting of results of solely one-week prevalence of LBP. No statistical analysis was applied to answer the research question of persistence of LBP. Overall, the quality of the study was rated as fair (Table 3). In the study by Sjolie et al., several risks of bias were considered due to a small study sample, with a risk of type 2 error for prediction models. Also, reporting bias was suspected due to questions of one-year prevalence of LBP. Overall, the quality of the study was rated as poor (Table 3). Several risks were considered in the study by Szpalski et al. as no inclusion or exclusion criteria was listed, no validated questionnaire was applied, and also, reporting bias was suspected due to lifetime prevalence of LBP. Reporting of results was only from children responding at both time points. The non-significant results could indicate a type 2 error of results due to a small sample size. Overall, the quality of the study was rated as poor (Table 3). In summary, one study was rated as good (Coenen et al.) and three studies as fair (Grimmer et al., Kjaer et al., Mikkelsson et al.). All four studies were included for synthesis of results, as summarized in Table 3. Diverse terms for describing the natural course of LBP was seen across studies although no definitions of the various terms were provided. For synthesis of results, the associated terms of 1) ´no LBP´ or ´low probability of LBP´ were collapsed in one column, 2)´variability of LBP´, ´ increase of LBP´, ´decrease of LBP´, and ´changing tracking pattern´ were labelled as ´fluctuation of LBP´, and 3) high prevalence of LBP´, ´consistently reporting LBP´, and ´persistence of LBP´ were labelled as ´repeated reporting of LBP´ Table 4. (one for LBP and five additional impact items) at each of the three time points (Table 4). Assessing the 13 to 17–year olds, Grimmer et al. found variability in LBP reporting between study years for 16% of the children. Also, consistently reporting of LBP was noticed, although the numbers are small; two children reported recent LBP every study year, and three children in the last four study years, accounting for less than 1% of the study population (Table 4). In the study by Kjaer et al., including the 9 to 15–year olds, < 1% repeatedly reported LBP at all time points, 49% reported no LBP at all time points (n = 261, participating at all time points) (Table 3). For those not participating in all three surveys, 32% of children with LBP (first time point) and 38% of the children with LBP (second time point) reported LBP at the next time point. This was only 1.4 and 8% of all participants at the second and third time point, respectively. Extracting the drop outs (n = 118), the percentages were equal to 2 and 11%. Having reported LBP at one time point compared to not having reported LBP, increased the probability of reporting pain again in the next time point; thereby, increasing with age. Amongst responders, 19% reported LBP in a changing tracking pattern between first and second time points, while it was 28% from second to third time points. Subtracting the drop outs from first time point to second time point (n = 118), the total amount of children reporting LBP in a changing tracking pattern were 26 and 38%, respectively (Table 4). In the 9 to 11–year olds, who were studied by Mikkelsson et al., one-year persistence of pain at least once a week was seen in 34% of the children; at baseline, 64 children (4%) reported LBP as opposed to follow-up, with 22 children (1.3%) reporting LBP at least once a week again. The results were not related to school grade. One-year changes in musculoskeletal pain symptoms were not stratified in pain location areas such as LBP (Table 4). In this systematic review, a total of four studies of good to fair quality were included for studying the natural course of LBP from childhood to young adulthood. An indication of a common pattern of LBP was seen across the studies, although methodological heterogeneity, mainly due to different age ranges. The majority of the children and adolescents repeatedly reported no or low probability of experiencing LBP. With recall periods between one week to three months and sampling rates ranging from one to four years, a small proportion of the children and adolescents repeatedly reported having LBP during the study period, whereas one-fifth to one-third of the children and adolescents had fluctuating reports of LBP. When assessing self-reported musculoskeletal health in children over time, there are also several other concerns to be made. Except for one study , where health professionals performed interviews with the children, all studies provided self-reported questionnaires of LBP. Only few studies applied validated questionnaires, although these were not tested for feasibility in children or tested for reliability. [9, 11, 15] The stability of measurement properties over time are crucial with respect to assessment of the natural course of musculoskeletal health, and it is for this reason, self-reported questionnaires must be designed for and tested on the specific age group, with special emphasis on the reporting period. In more studies of the current review, it was found that up to 60% of the children who reported one-year or a lifetime history of LBP at one timepoint did not report the same at the next timepoint. [9, 10, 15, 16] In line with others, these findings indicate that experiences of LBP often are common, short-lasting and benign of nature , hence not creating a memorable impact for the single child or adolescent; therefore, one-year and lifetime prevalence numbers of LBP for this population can have limited value. This is in accordance with others, recommending the avoidance of long recall periods as this may cause reporting bias. Further, to assess the ´true prevalence´ of LBP future studies need to use multiple repeated measurements over time, at least every month, or even every week, to minimize reporting bias. Four studies of good to fair quality were included for studying the natural course of LBP from childhood to young adulthood. Although methodological heterogeneity, mainly due to different age ranges, an indication of a natural course of LBP was seen across the studies. The majority of the children and adolescents repeatedly reported no or low probability of experiencing LBP. A small proportion of the children and adolescents repeatedly reported having LBP within recall periods of one week to three months and sampling rates ranging from one to four years, whereas one-fifth to one-third of the children and adolescents had fluctuating reports of LBP. A need of future research of LBP trajectories with short reporting period lengths and narrower sampling windows in a long-term perspective is emphasized in order to study childhood influences on the development of LBP through life. Additional File 1 in PDF format: Search strategy for MEDLINE via PubMed. We would like to thank university librarian Anne-Marie Fiala Carlsen, UC University College Lillebaelt, Odense for thorough assistance in searching the library databases and editor Janet Kawchuk for competent assistance with proofreading. The author(s) disclosed receipt of the following financial support for the research, authorship, and/or publication of this article (TJ & PK): This work was supported by the UC University College Lillebaelt, Odense, Denmark and the Department of Sports Science and Clinical Biomechanics, University of Southern Denmark, Odense, Denmark. This article was commissioned, and peer reviewed by the Journal of Chiropractic & Manual Therapies (CMT). The authors PK and NW were author and co-author on one of the manuscripts included in the current systematic review. TJ designed and directed the project, searched the databases, assessed the eligibility of potential studies, did quality assessment and data extraction for analysis of the results and wrote the manuscript. NW, EB and PK contributed to the design of the research, to the assessment of the eligibility of potential studies, to quality assessment and data extraction for analysis of the results and read and approved the final manuscript. Best Pract Res Clin Rheumatol. 2013;27(5):591–600. Hartvigsen, J, Hancock, MJ, Kongsted, A et al. What Have We Learned From Ten Years of Trajectory Research in Low Back Pain? NIH. National Heart, Lung, and Blood Institute. Coenen P, Smith A, Paananen M, O'Sullivan P, Beales D, Straker L.
Trajectories of low Back pain from adolescence to young adulthood. Arthritis care & research. 2017;69(3):403–412. Grimmer K, Nyland L, Milanese S.
Longitudinal investigation of low back pain in Australian adolescents: a five-year study. Mikkelsson M, Salminen JJ, Kautiainen H.
Non-specific musculoskeletal pain in preadolescents. Prevalence and 1-year persistence. Persistence and change in nonspecific low back pain among adolescents: a 3-year prospective study. Curran PJ, Obeidat K, Losardo D.
Twelve frequently asked questions about growth curve modeling. Harreby M, Kjer J, Hesselsoe G, Neergaard K.
a 25-year prospective cohort study of 640 school children. Predictors of musculoskeletal pain in men: a twenty-year follow-up from examination at enlistment. The epidemiology of pain in children and adolescents: a review. Franz C, Wedderkopp N, Jespersen E, Rexen CT, Leboeuf-Yde C.
Back pain in children surveyed with weekly text messages - a 2.5 year prospective school cohort study. Jespersen E, Holst R, Franz C, Rexen CT, Klakk H, Wedderkopp N.
Scand J Med Sci Sports. 2014;24(5):807–813. Fuglkjaer S, Hartvigsen J, Wedderkopp N, Boyle E, Jespersen E, Junge T, et al. Dissing KB, Hestbaek L, Hartvigsen J, Williams C, Kamper S, Boyle E, et al. Spinal pain in Danish school children - how often and how long? The CHAMPS study-DK.